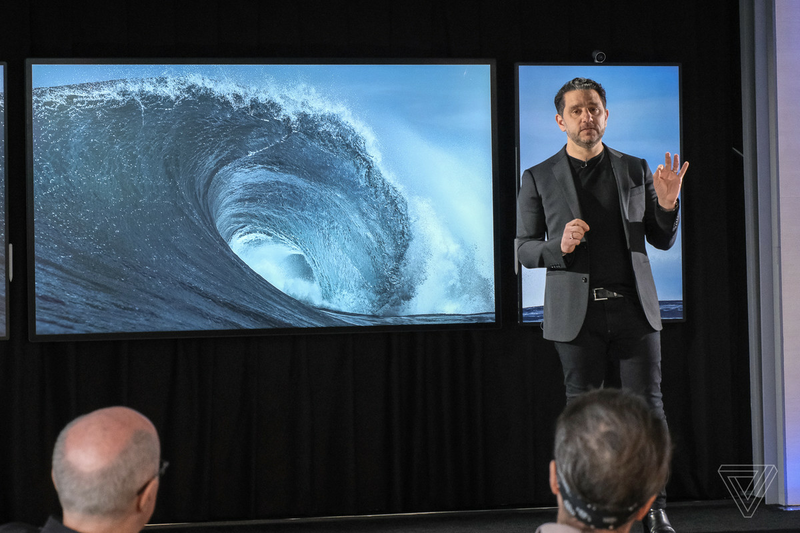 While the smaller Surface Hub 2 will be able to be tiled with up to four 50-inch panels side-by-side, this bigger 85-inch model is designed for businesses that are looking for something even bigger. 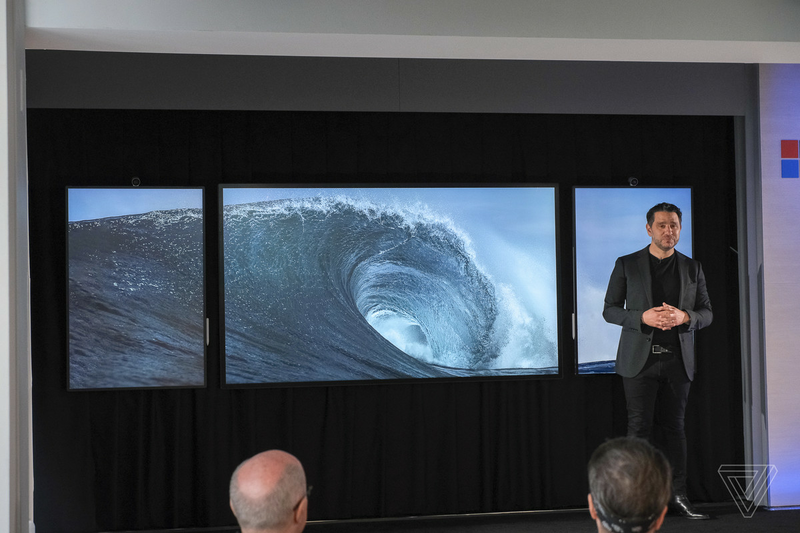 Surface chief Panos Panay introduced the new 85-inch model today, and briefly showed it sandwiched between two of the 50-inch versions. Microsoft isn’t providing exact pricing for this bigger Surface Hub 2 model, only that it will ship at some point in 2020. Microsoft is launching its $9,000 Surface Hub 2S model today, which includes a removable cartridge that will be upgraded next year. Microsoft will make an upgrade cartridge available (Surface Hub 2X), that will improve the CPU, RAM, and GPU of the Surface Hub 2 and update it to a newer operating system. Features like rotation and the tiling of four Surface Hub 2 displays will also be enabled with this 2X cartridge. You can read our full hands-on with the Surface Hub 2 for more information.